Bollywood actor Akshay Kumar who gave a hit film in the starting of the year 2018 as Padman in the collaboration with director R Balki is once again set for another collaboration. 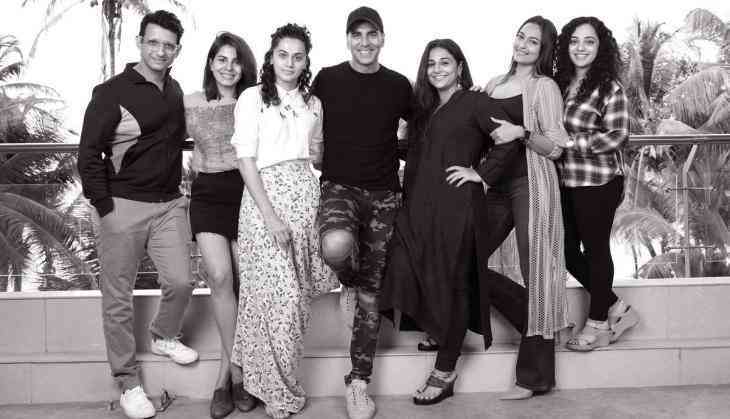 Since a long, there were the reports that Akshay Kumar is collaborating with Vidya Balan and R Balki for a space film and now finally they have announced the film with the full cast. Not just Vidya Balan but there are four more leading ladies in the film. Actually, besides, Vidya Balan, Taapsee Pannu, Sonakshi Sinha, Kriti Kulhari, Nithya Menon, are also starring in this film. While Sharman Joshi who was away from the films for short time has now come back to join Akshay Kumar. This will be the first time when Akshay Kumar is starring opposite so many leading ladies in any film. Besides this one big thing is that south actress Nithya Menon is all set to make her Bollywood debut with India's first space film. While on the other hand, Akshay is also busy in the promotions of his next film 2 Point 0 starring alongside Rajinikanth. The film is slated to release on 28th November 2018.